Birds are warm blooded animals like mammals, but they lay eggs, like reptiles. 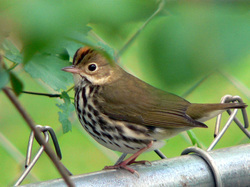 Birds varies in their shapes, colors, sizes, and their behavior patterns. There are more than nine thousand different kinds of birds in the world.Birds have a number of adaptations that enable them to fly. Theses adaptations include highly efficient feeding, digestive, respiratory and circulatory system; aerodynamic feathers and wings; and strong chest muscles. Most birds have this characteristic and the ones that don't can not fly or fly as well as the birds with theses features. . 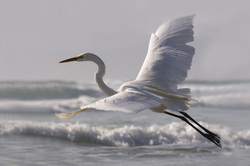 Birds follow a certain behavior pattern that could have a big impact on the earth if it were to be drastically changed. 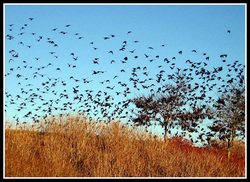 This happens when a species becomes extinct or when the weather changes dramatically causing confusion among the birds. They aren't sure when to migrate, mate or do any of their natural functions when nature is out of whack. This in turn has an impact on everything else including society.